This collection contains 20 synth presets and 5 audio samples! The highly anticipated Ultimate FM8 P.A.S.S. Collection Vol. 1 introduces a new way to explore and get more out of this amazing synth from Native Instruments. Each preset has been carefully crafted to provide you with the most flexibility and usability possible. 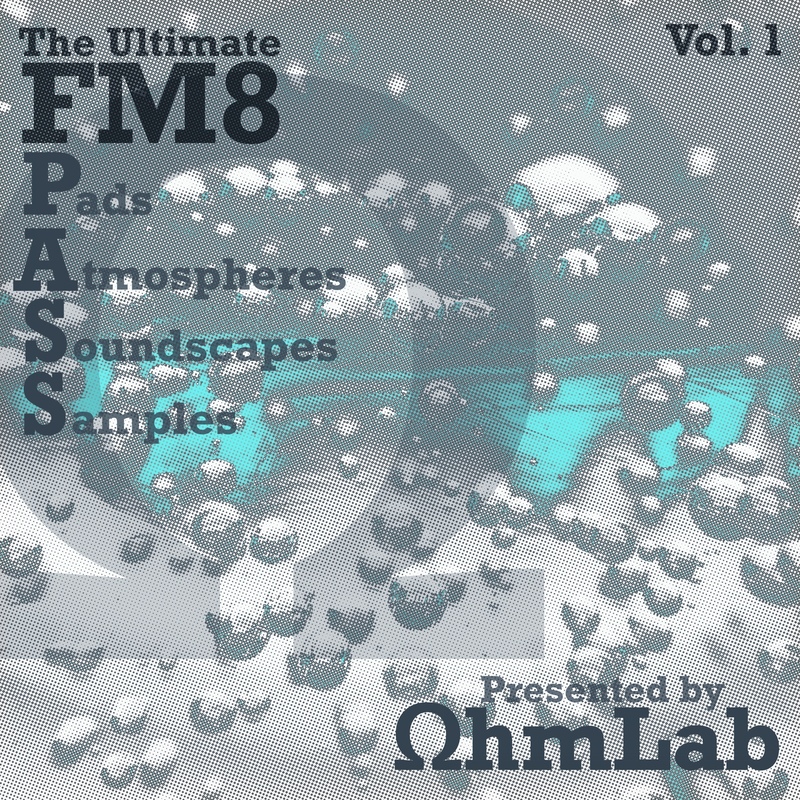 With a nice selection of pads, soundscapes and atmospheres, OhmLab takes things a step further by including a handful of original, and truly unique, samples specifically designed to be used with FM8 and the patches included in this collection. Many people overlook the fact that FM8 allows you to use audio samples, and in more than one way. The samples included in this collection were created with the intent of being layered with these incredibly diverse patches inside of the synth to introduce more texture, character and atmosphere to your instruments in ways that you may have never considered before. Each of these presets have also been carefully balanced to help ensure that they will be useable in FM8's morphing matrix. Whether you choose to morph between other sounds in this collection, factory sounds or sounds of your own, you will love the way these presets perform and change to fit your projects. And once you factor in the potential of layering one of the included samples, the possibilities of what you can create becomes limitless. From soundscapes that seem like they may have actually been captured from the surface of an alien planet to truly immersive atmospheres, and with pads ranging from driving and biting to lush and hypnotic, this collection of sounds is quite unlike any other out there. FM Synthesis just happens to be the perfect approach to this type of sound creation, and The Ultimate FM8 P.A.S.S. Collection Vol. 1 is just the first in what looks to be a very long line of releases in the years to come. We hope you enjoy using these sounds as much we enjoyed making them!